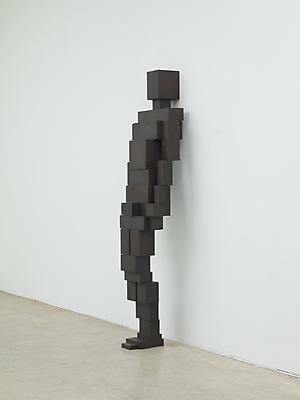 Antony Gormley, Shore II (2012). All images courtesy Sean Kelly Gallery. To inaugurate Sean Kelly Gallery’s new location, designed by Toshiko Mori, is an exhibition of new works by Antony Gormley. Bodyspace continues Gormley’s decades-long exploration of the body, and specifically addresses the body in relation to the newly re-designed interior. 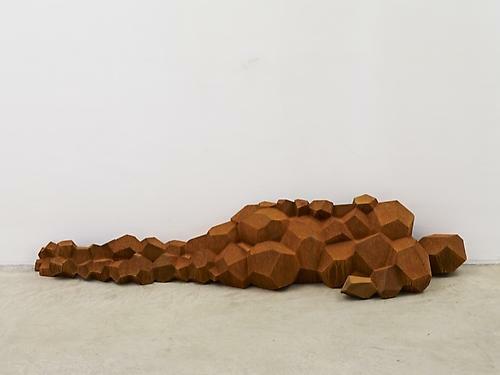 Antony Gormley, Shore II (2012). 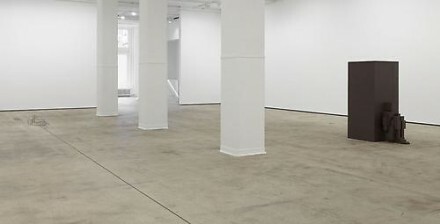 A handful of figures made of solid steel inhabit the expansive and pristinely raw space, and the contrast of open space hosting a minimal amount of figures works to emphasize the presence of both the gallery and the sculptures. A pleasing balance of light and dark, mass and void, are at play. 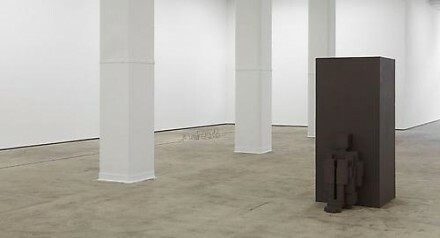 Gormley became well known in the early years of his career for using his own body as a cast, placing himself physically at the center of his work. As seen at Sean Kelly, his figures have shifted to a bodily framework of aggregated cubes or polygons. Although individual features are absent from these building block figures, they are surprisingly capable of conveying emotion. 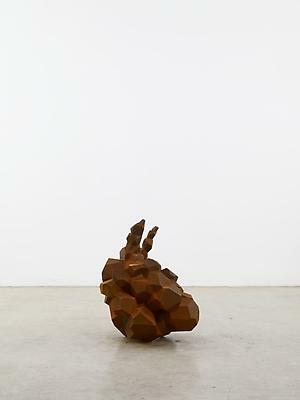 Abstract is a weathered steel figure made up of irregular polygons balled up on the floor, so contorted in pain or agony it is almost un-recognizable as a human form. The most monumental sculpture, Shore II, ruptures the space with a massive block weighing just over 9 tons, against which a smaller collection of blocks creates the form of a crouching body. The relationship between architectural and bodily forms is poignant as cubed bodies are reduced to towers of blocks that evoke urban landscapes or single architectural structures. According to the gallery’s statement, Shore II is meant to be in conversation with Signal, a somewhat polar opposite geometric form that hangs from the ceiling nearby. Steel wire bends in 90 degree angles, drawing the outline of a three-dimensional structure created by negative space against line. 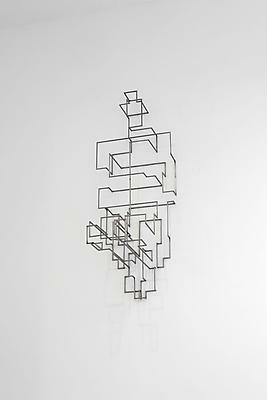 The wire is contorted to represent the inner space of the body, or an urban grid. 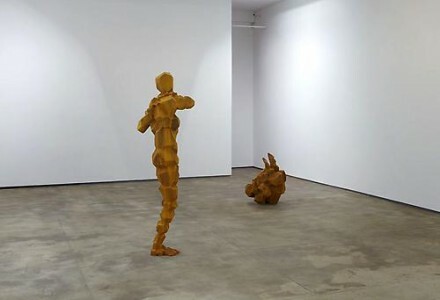 Gormley’s work has long held an intimate relationship to urban space, his sculptural figures are often erected in public spaces connecting the body to the urban landscape and drawing parallels between the body and the city as places of inhabitance. Gromley’s figures serve a fitting choice for the premier exhibition in a new space, drawing the viewers’ attention to their physical relationship with the sculptures and the gallery space, and then to the urban landscape they beyond the gallery walls. 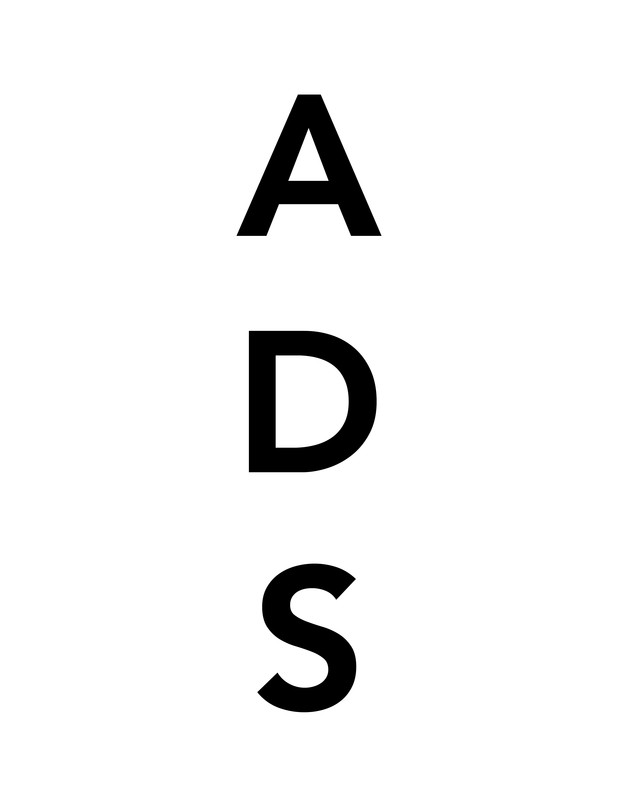 This entry was posted on Thursday, December 13th, 2012 at 11:47 pm	and is filed under Art News, Go See. You can follow any responses to this entry through the RSS 2.0 feed. You can leave a response, or trackback from your own site.